Dalhousie is a small hill town in Himachal Pradesh and is among the most amazing places to see in India. Surrounded by beautiful lush green forests on one side and snow-capped peaks on the other, Dalhousie is a place to feed your body and soul with nature's gifts. It is one of the very few places in India, which still retain their lush green cover and natural charm. The peace and serenity of the place rub on to your soul. 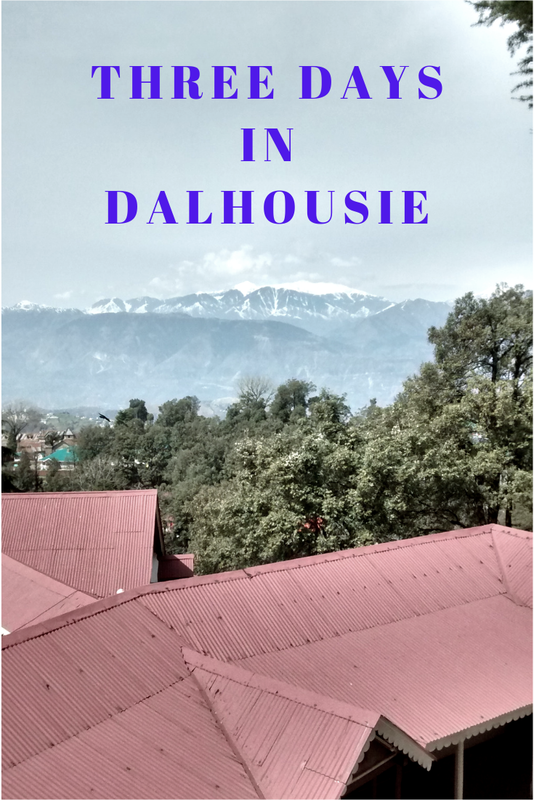 This is my story about Dalhousie visiting places. Hello friends! With summers upon us, you all must be planning vacation and looking for places to escape the heat. I, for one, have already been to a place which I would keep at the top among amazing places to see in India. 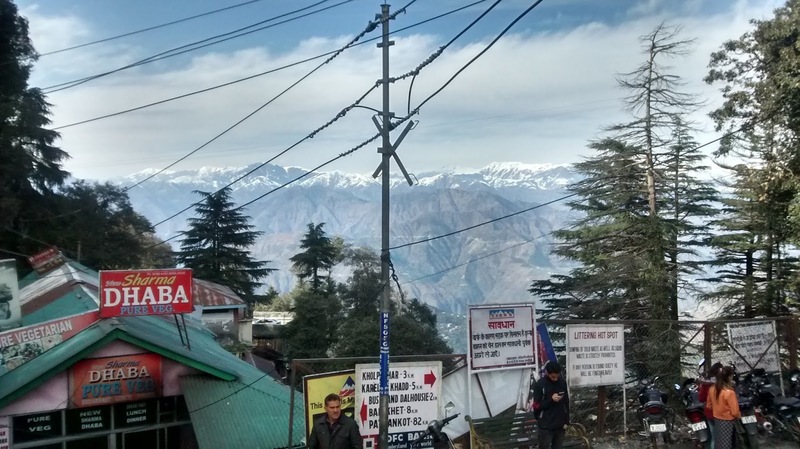 TRAVELLING FROM DELHI TO DALHOUSIE - Last month I planned a three day trip to this paradise in Himachal Pradesh and booked my ticket for a night journey on a Volvo bus from Delhi to Dalhousie. Surprisingly, in spite of it being the middle of March, it was cold in Delhi. However, it didn't matter as once you embark on a journey, you are prepared for such minor things. To begin with, the bus started half an hour late at 9.45 pm. I would have preferred a window seat, to be able to click some pictures on the way. However, I found I had an aisle seat. The bus was very comfortable, with reclining seats, leg rest, water bottles and blankets being provided. And the biggest boon was the mobile charging points :). It was supposed to be an 11-hour journey. 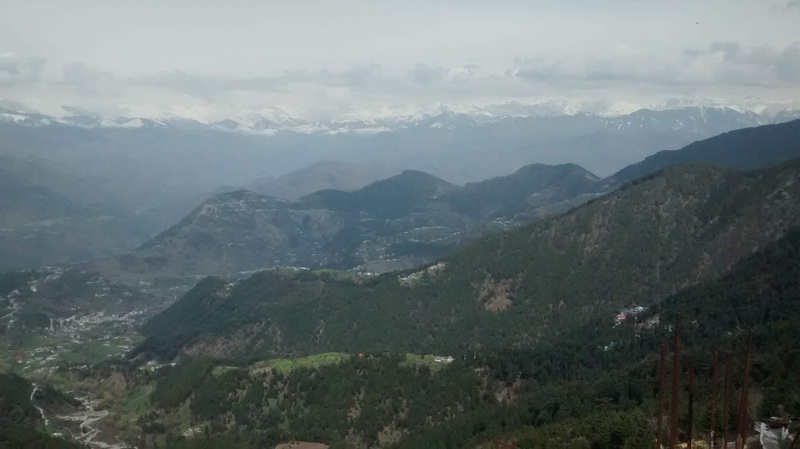 Delhi to Dalhousie distance is roughly 560 km(350 mi) from Delhi. Soon, the lights of the bus were switched off. And the bus was cruising along. I, usually, am not able to sleep during the journey as I am more into enjoying the journey rather than spending the entire duration sleeping. And moreover, the excitement of reaching that amazing place would not let me sleep. At around 5 in the morning, as we were crossing Pathankot, I started to prepare myself for the much anticipated natural beauty ahead. Soon enough, the bus started to enter the hilly terrain. And I started seeing what I was dying to see. The beautiful green fields, tall trees and mountains. With daylight breaking and forming a magnificent backdrop, it was a breathtaking scene. I felt really excited that there were such amazing places to see in India. 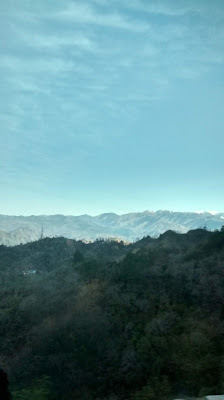 Now, I was longing to breathe the fresh air of hills. I asked the conductor of the bus and he told me it was still 3 hours drive to Dalhousie. It was around 6 at that time so I figured we would reach Dalhousie only by 9. I am an early riser and a morning walker. So I was getting desperate to get some early morning fresh air into my lungs. To my relief, within a few minutes, the bus stopped at a place to pay the toll tax and we were informed we could get down as it would take at least 15 minutes to clear the process. It was enough for me. I jumped out of the bus. And the first thing I did was take a long deep breath. As I had expected, the air outside was so clean it immediately refreshed me. I didn't want to get back into the bus, but could not afford to be left on the road either. So got back on the bus and the bus started on its onward journey towards Dalhousie. Very soon, tall mountains, with snow-capped peaks started to appear. It had snowed a couple of days back, so most of the mountains were covered in snow. The scene outside was actually taking my breath away. Now was the time to get set to click some cool pics. However, being in the aisle seat made it a little tough to get the right angle and timing. Still, I persisted and got a few really good ones. I was so engrossed in the scenery outside that I lost track of the time. Suddenly I heard the conductor announcing that we had reached Dalhousie and everybody needed to get down. I checked the time. It was 8.30 in the morning. I got down from the bus and got my luggage. 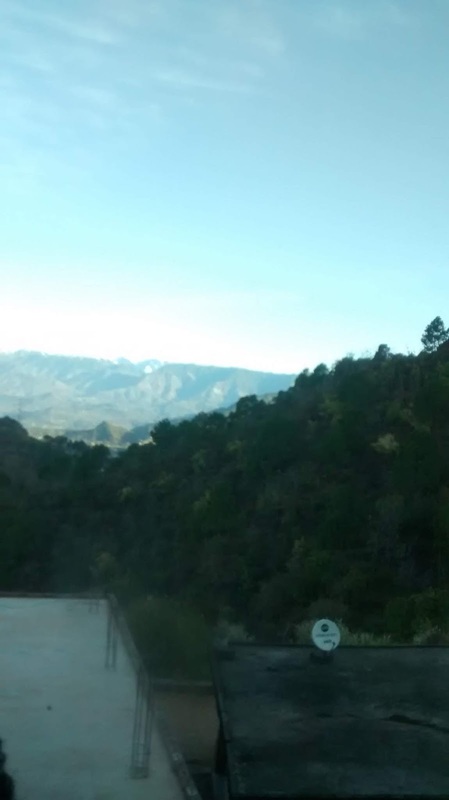 First thing I noticed was, snow-capped peaks seemed so near. And the area looked so quiet, except for the noise coming from the people who had just disembarked from the bus. My hotel was within walking distance from the bus stand. And the weather was very cold. I started to shiver, although I had my woollens on. I reached the hotel and the owner graciously allotted me a temporary room although the check-in time was 12 noon. This room was small but I had to bear with it for some time. I ordered a hot cup of tea and jumped into bed and took the blankets to beat the cold. After having tea and getting some warmth, I began to reflect on my plan for the day. Then I freshened up and got ready for the day. 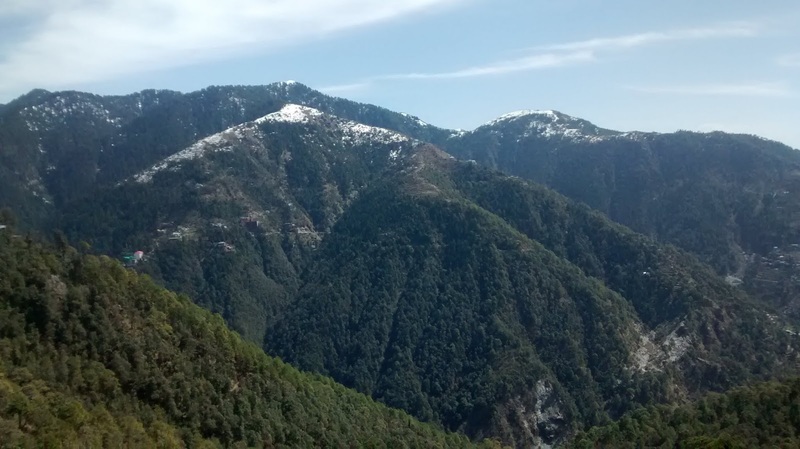 I had the names and details of Dalhousie visiting places I wanted to see. But I first wanted to settle into my regular room. So at 11.30, I was informed by the hotel staff that my room was ready and I could shift. This room was much bigger with a balcony and a magnificent view of everything including forest, snow on hills and valley. It was really a large and beautiful room. Hereon started my 3 day trip to Dalhousie. SUBHASH CHOWK - Got out of the hotel and headed to Subhash Chowk. 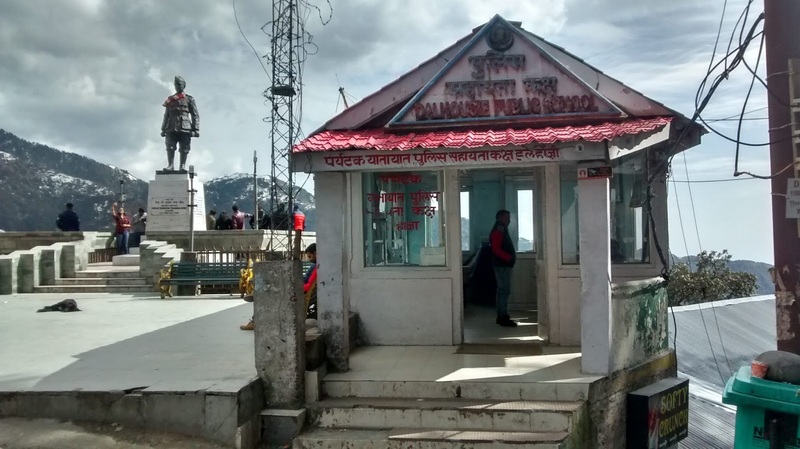 Subhash Chowk was the first in the list of places to visit in Dalhousie It has been named after great freedom fighter Netaji Subhash Chandra Bose. It was just 5 minutes walk from my hotel but the climb was pretty steep. So by the time I reached there, I was breathing heavily. 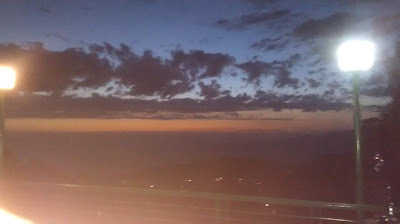 But the view above was so amazing that it made me forget everything else. There is a platform with railings built on the edge of the hill to enable people to enjoy the majestic view of the valley below, snow-covered mountains in front and lush green forest on the left, all at one place. 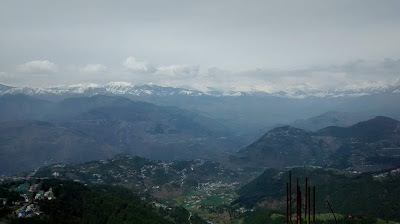 This is one of the most sought after viewpoint of Dalhousie. Subhash Chowk is basically a quiet place barring loud talking of cabbies who park their vehicles here in search of customers. 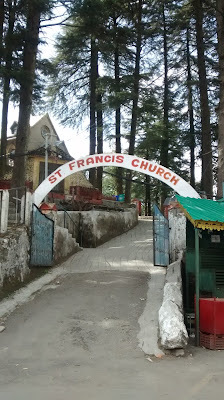 ST. FRANCIS CHURCH - And on the Subhash Chowk itself is the iconic St. Francis Church. It was built in the year 1894 by the army and civilians together. The Church is built in British architectural style with stone and glass work in the interior. It has been maintained so well that it is difficult to guess that it is so old. The ambience of the Church becomes soul stirring with Deodar trees on all sides. GANDHI CHOWK - Dalhousie Mall Road and Gandhi Chowk are at the same place. After admiring the St. Francis Church for some time, I moved towards the local shopping centre called Gandhi Chowk on the mall road. 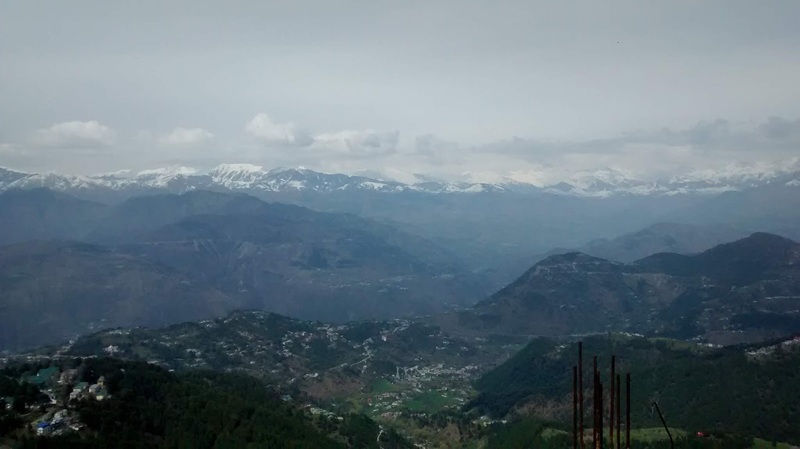 This is one area among Dalhousie visiting places, which you should not miss. The road connecting Subhash Chowk with Gandhi Chowk is called Garam Sadak or Hot Road. It is about 1 km long and is called so because it receives sunlight throughout the year, irrespective of the weather and thus, remains warm. On one side of the road is the valley and on the other side, there are buildings like houses, hotels and a couple of government houses. As I walked the road I could feel the warmth. And yes, there were a lot of monkeys around. But they would not disturb you if you let them be. 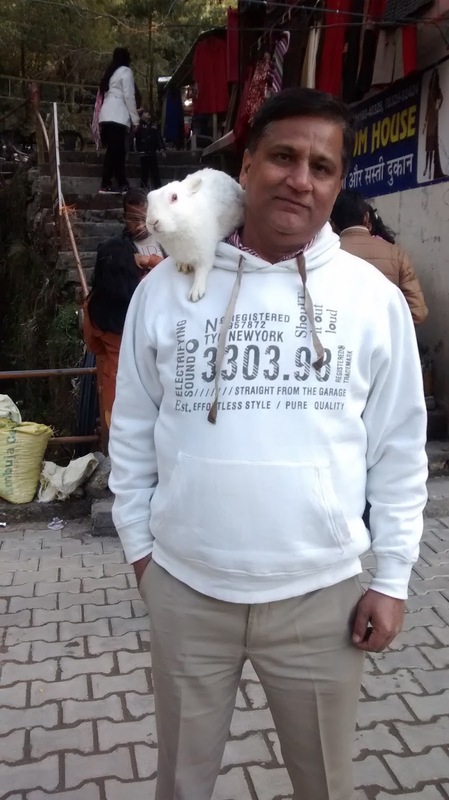 Once I reached Gandhi Chowk, I found it was a small local shopping centre with some eateries, a few shops selling souvenirs and some shops selling regular stuff. I had some Maggie to douse my hunger. It was really good. I found another viewpoint at Gandhi Chowk. It was a canopy and I could see a line of snow-covered peaks from there. 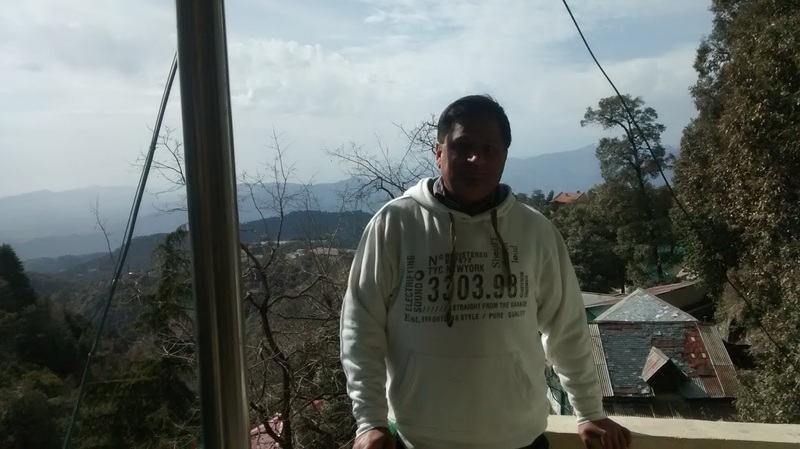 PANCHPULA - Next in the list of places to see in Dalhousie was Panchpula. I was told that it was about 3 km from Gandhi Chowk. I decided to walk the distance and do some exploration. As I started to walk, I found the road was not in too good a condition. However, the walk was smooth on this winding road. 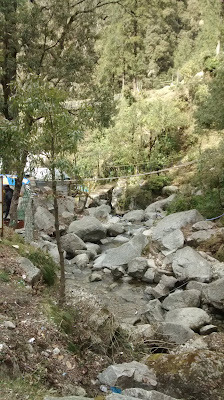 On the way, I crossed Satdhara, meaning seven streams. Seven small streams combine at this place. However, there was not much to write about as the streams were too thin and had been directed to taps so that their natural flow was obstructed. I moved on from there and reached Panchpula after some time. Panchpula means five bridges. It is a nice picnic spot. 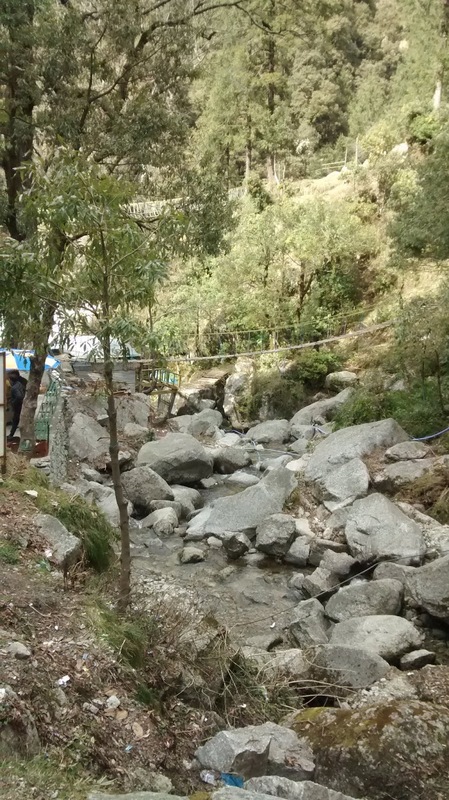 A big stream flows from the top and is said to provide water to the whole of Dalhousie. 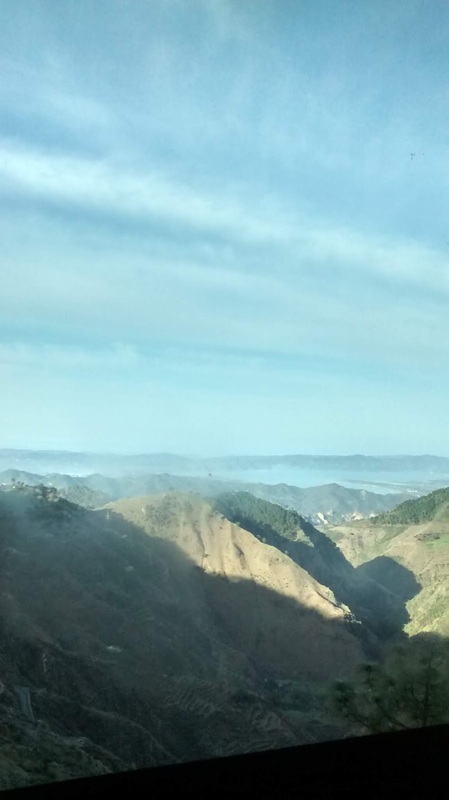 It is quite a picturesque spot with green valleys and mountains. A monument of freedom fighter Sardar Ajit Singh has been built at the top. You can trek to the top with stairs running parallel to the stream. As it had snowed a couple of days earlier, there were many small lumps of snow scattered there which increased the beauty of the spot. You can indulge in adventure here. And there is a small amusement park also. Sitting in those surroundings made me feel a part of nature. It was so soothing. I had a big plate of vegetable pakoras and tea for lunch, which was quite delicious and cost me only INR50. Then I got some funny pictures of myself clicked. Soon it was time to go back. But I was too tired to walk back to Dalhousie, so I was looking to hitch a ride. Luckily for me, immediately a bus came towards me and I saw it was going towards Dalhousie. So I wasted no time in jumping on to it. And in 15 minutes, I was back in Dalhousie. It was nearing 6 in the evening and lack of sleep was telling on me, so I decided to call it a day. Went to my hotel room and relaxed. Day2 did not start on a promising note. I was going through my list of Dalhousie visiting places. I had planned to visit Dainakund, Ganji Pahadi and a couple of more places but hotel staff told me that all these routes were closed due to snowfall. 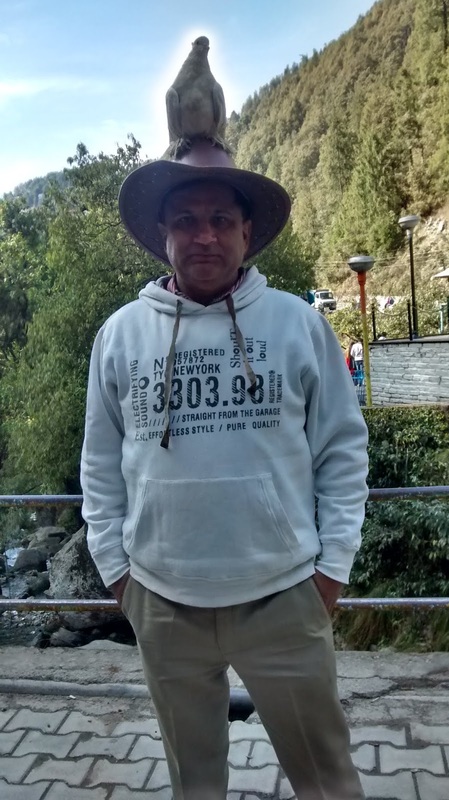 Then I thought of going to Khajjiar, and again I was informed that regular route was closed and I would have to take a long detour to reach Khajjiar and it will take 3 hours to cover the distance instead of normal one hour. 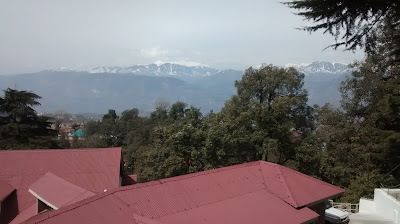 That again discouraged me and that left wondering what I was going to do for the next three days in Dalhousie. It was a Sunday and I had nowhere to go. So I decided to book my return tickets for the next day. Things have a strange way of happening. I sat down to book my return ticket online and to my consternation, the transaction would just not get through. One, two, three, four times and every time payment would be made but the transaction would not be formalized. I gave up in desperation and thought of getting it booked from the window at the bus stand. And for that I needed cash. So I moved out to find an ATM. The disappointment was waiting for me here too. I tried all the ATMs in the vicinity but none of them was working. They were either out of order or didn't have cash. I didn't have enough cash to pay the hotel bill and book my ticket and hotel guy won't accept payment by card. So I was badly stuck and was left with no choice but to go and relax in the hotel room and wait for the next day. I did exactly that. In the evening, I went out for a stroll and look at what I saw. I could not have enough of this marvellous sunset scene. It was like coming straight out of a picture book. Thus, ended my day on a high. My first project for the day was to get some cash and get my return ticket booked. I had to get cash and ticket booked. So I sat down to try and get the online booking done. As I said, things have a strange way of working. This time it didn't take more than 5 minutes to complete the booking. Quite intriguing you see. Then I set out to check if ATMs had started working. And again, this time I got the cash from the very first ATM I tried. It might have been some divine plan to hold me back there. What would you think? Mission accomplished and more than half the day still remaining, I thought of exploring the surrounding areas and soak in the peace and serenity of the place. 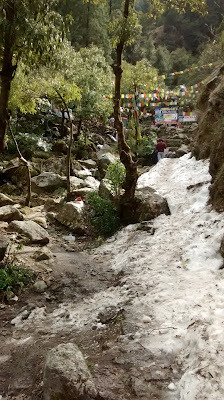 Decided to take a long walk on a road called Thandi Sadak(cold road). It is called so because it doesn't receive any sunshine throughout the year as opposed to Garam Sadak. It is again one of those places to see in Dalhousie, which are calm and peaceful. As I moved further, I could see snow lying all along the road. I was really feeling good walking in the fresh air of hills and road was also comfortable in the sense that there was no climb. It was a flat road. Moving further up, I came across another vantage point. This one was better than even the earlier ones. The view from here was straight from picture postcards. A lush green valley and a village with colourful houses in that with a long line of snowcapped peaks in the backdrop. A very clear view of everything. It was a sight to behold. And I think the best view I could have had from anywhere. Simply majestic. And coupled with the calmest surroundings I could imagine, it seemed to be a perfect place to meditate. Except that I am not much into meditation(though very much into prayer). So I could end my day on a high. 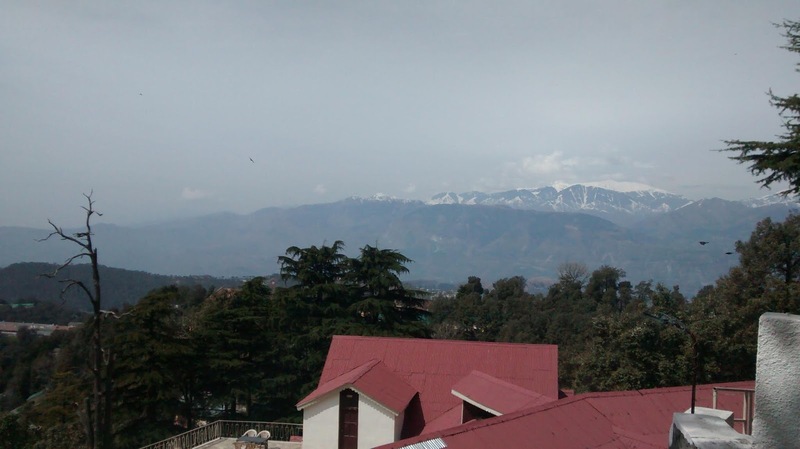 HOW IS DALHOUSIE WEATHER - Weather in Dalhousie is pleasant throughout the year. Winters may be harsh due to snowfall. Summers have good enjoyable weather with cool mountain breeze blowing. 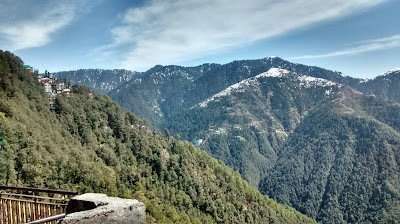 March to June is the ideal time to visit Dalhousie. AIR - Nearest airport to Dalhousie is Gaggal airport in Kangra, which is around 130 km away. From here you can hire a cab. RAIL - Nearest railway station is Pathankot, which is 80 km away. 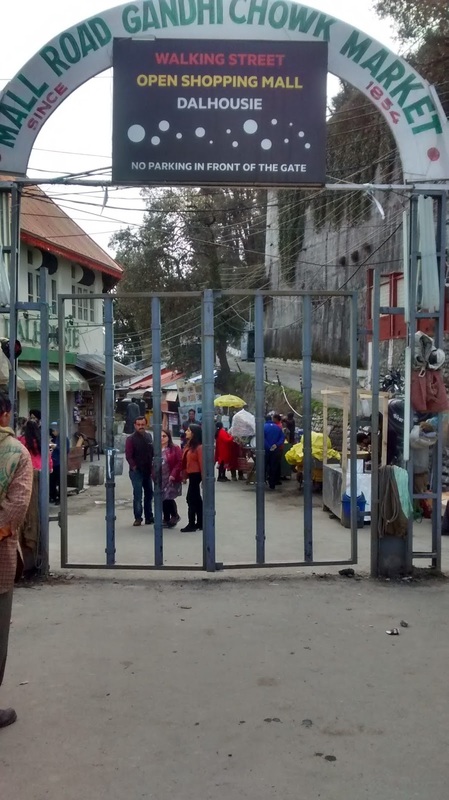 From here, you can hire a taxi or can get a state-run bus to reach Dalhousie. ROAD - Dalhousie is well connected by road to major cities. State-run and private buses are available from Delhi to Dalhousie. Taxis are also easily available. 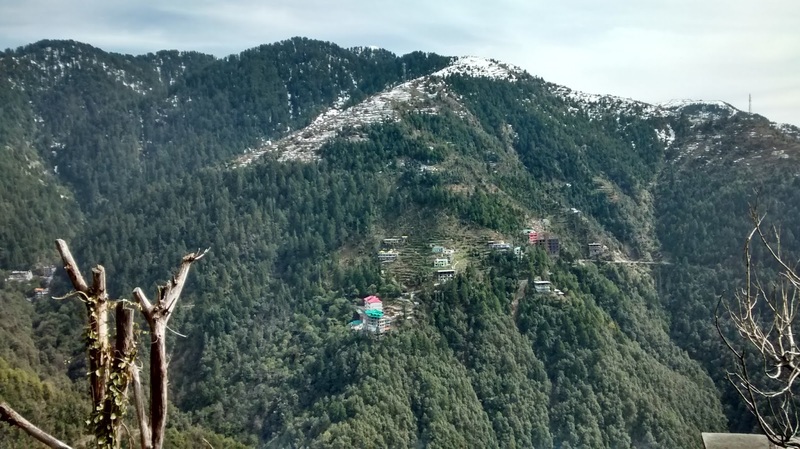 BEST HOTELS IN DALHOUSIE - The best location of hotels in Dalhousie is between bus stand and Subhash Chowk. 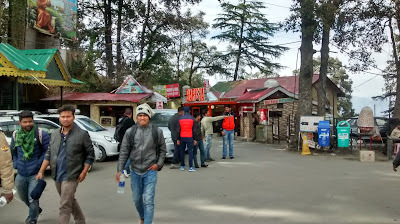 Reason being, bus stand is the entry point of Dalhousie and Subhash Chowk is the junction which leads to roads to all places to visit in Dalhousie. And it is hardly a 1 km stretch. So it was time to say goodbye to Dalhousie. It was all in all a pleasurable experience. 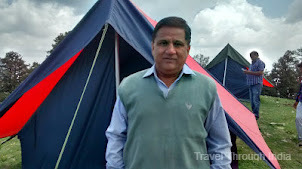 From hotel owner Sanjay Thakur to hotel staff to local people, all were very gentle, cordial and always ready to help. Dalhousie is really one of the most peaceful, calm, serene and naturally beautiful summer destinations I have visited. 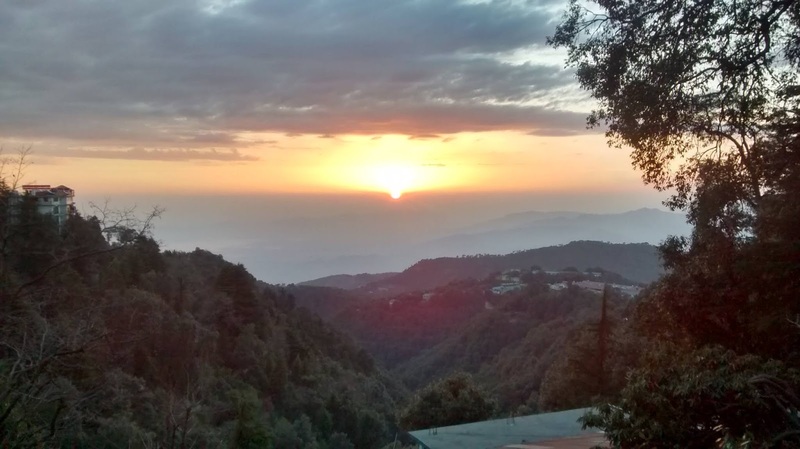 There are so many breathtaking places to see in Dalhousie. As I said, in any list of most amazing places to see in India, it will rank among the top. P.S. - I am already planning my next trip. Suggestions are welcome. Which place you would like me to go to and write about? Mention in the comments. Seems like you had lots of fun. Seriously amazing pics. This place is in my wishlist. Love your recommendations. Thanks Arun. Yes, I thoroughly enjoyed my stay in Dalhousie. It is really a beautiful and calm place. Do visit once. Also, subscribe to my blog to keep getting updates on my travel stories.